Located in the Town of Mt. Morris, Mt. Morris Hills Park's 383 acres comprise over one-half of the parkland in the County Park System. The Park entrance is located 1/2 mile West of STH 152 on CTH "G" in the unincorporated Village of Mt. Morris. In the 1960's a group of local citizens, known as Mt. Morris Hills, Inc., began to work and plan for the preservation of the area known at Mt. Morris Hills. Originally the focus of the group was development of a State Park. Although this dream was not fulfilled, a fine county park was the result. Current facilities include: shelter house with electric and running water, ball diamond, volleyball court, horseshoe pits, tennis courts, tables and grills, playground equipment and three restroom buildings. The park does not have lake access, but the Town of Mt. Morris Park, located across from the County Park entrance provides boat access to Morris Lake. Mt. 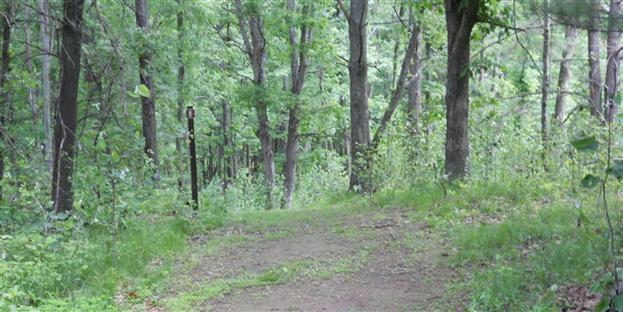 Morris Hills County Park has 4.32 miles of hiking trails to explore. Most of the hiking trail system is maintained as cross country ski trails in the winter. The winter trail head is at the Willow Creek County Park as the Mt. Morris Hills County Park is closed to vehicle traffic from November through April each year. Large groups may want to contact the County Parks Department for shelter house reservations as the Park is generally busy with family reunions, company picnics and other celebrations throughout the summer.